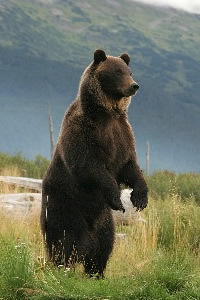 ALASKA TOURS customized by real Alaskans! Premier Alaska Tours has been in operation since 1995 as an Alaska based land tour receptive operator and motorcoach charter company. We are locally owned by a team of intriguing Alaskans who love their hobby of offering dynamic tour packages. On staff are: a bush pilot, a mountain climber, commercial & sports fishermen, travel writers, educators and many who have completed Alaska's Running of the Reindeer. Our combined experience with living and playing in the Great Land enables Premier to continually be recommended by our worldwide partners. We believe the best tour products are created and delivered with passion and are proud to be Alaskans in the visitor industry. services exclusively to Tour Operators, Cruise Lines and Wholesale Agencies only. If you are an individual looking for information on available tours please contact your local Travel Agency. Guaranteed Departures> if you have a small or large group that wants to see Alaska of your dreams, click here. 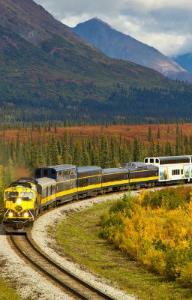 Custom Alaska Tours › - looking to do something off the beaten track? If you would like to charter a coach or rail car for your group, Premier has you covered!